When determining your mobile device requirements, don’t look past your environment too quickly as it can give your some valuable intelligence on the level of ruggedness and safety capabilities you’ll want your mobile devices to have. The level of device ruggedness is often conveniently standardized through IP ratings or MIL-STD 810G but it can sometimes also be determined by the manufacturer themselves. Since phones get dropped so regularly, most manufacturers have tested their phones against drops from different heights (usually 1.5m up to 2m), even for consumer devices. How dirty and wet the environment can be, are covered under the Ingress Protection (IP) standards. The IP number is composed of two numbers, the first referring to the protection against solid objects and the second against liquids. The higher the number, the better the protection. The US military in a combined effort of Army, Navy and Air Force, has put together a comprehensive testing manifest that includes all kinds of tests military equipment might go through in its service life. There are a total of 29 laboratory test methods and some mobile phone manufacturers have adopted some of the testing specifications to design their device against. Depending on the use case some might be more relevant such as high or low temperature tests while others might be less relevant such as pyro shock or gunfire shock. What is important to know is that some OEMs label their products “MIL-STD tested” even when successfully testing only one of the 29 testing specifications. It is therefore important to check which testing requirements meets your use case the best. To see how the most common failures of devices can be eliminated by finding devices with the right MIL-STD specification, download the whitepaper. Intrinsic Safety (IS) devices can be used in explosive environments without the risk of igniting combustible elements. High-risk environments like this are subcategorized in classes and divisions for the US approvals for IS and ATEX/Ex regulations are used in the European Union. The specific approval received for a particular phone will determine in which zones it can be used. When using the phone with a wired accessory, the approval for intrinsic safety must be done together in order to be valid. The phone doesn’t automatically receive IS approval even if it’s being used in conjunction with an IS approved accessory. Unless it is a Bluetooth accessory, an IS approved mobile phone and a separately approved accessory together, do not make an IS approved solution. If your workforce wears safety equipment, there’s a good chance that either a specialized PTT phone or PTT accessory will be required to ensure functional communication. Gloves: Standard gloves prevent the user from using a smartphone as swiping or typing is not possible. They also limit the tactile ability to locate buttons quickly. Hearing protection: Hearing protection not only protects the ears, it may also prevent the user from hearing their mobile device. Protective suits: Protective attire could inhibit the user from easily accessing the mobile device. 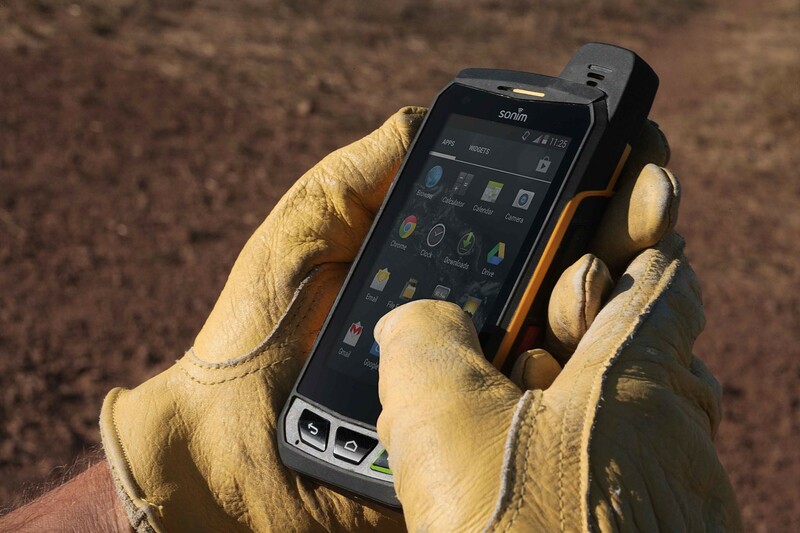 If your workforce is operating in potentially dangerous environments you will need to arm them with a mobile device that has safety functionality. The best option is a mobile device that has an emergency button, which once pressed, can trigger an alert or warning that something is not right to an operator. The functionality of the button is often application dependent and not an automatic feature of the phone, however the phone would allow this feature to be easily triggered through a specific button. Use cases could be in public safety, security, or even housekeeping in hospitality where personnel could get into potentially dangerous situations. The passive alternative requires the phone to be able to measure acceleration as well as balancing of the phone which most of today’s smart phones do facilitate. Again, in combination with an application, these phone features can help identify if the user fell or is laying on the ground or hasn’t been moving for the last five minutes and inform an operator automatically. For more guidance on selecting mobiles devices for your PTT over LTE solution, download the complete Whitepaper for free!